In 2009, Congress designated September 11 as a national day of service and remembrance for those who gave their lives in service to the nation. 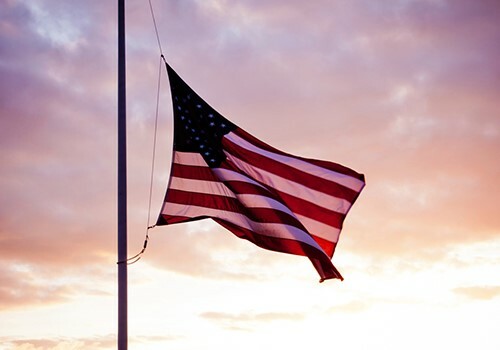 As we honor the sacrifices made on Patriot Day, it might be a good time to learn more about how Social Security can help the survivors of these fallen heroes. A good place to start would be to visit www.socialsecurity.gov/survivors. From here, you can learn how we calculate a benefit amount for survivors, and what protection we offer a family if a loved one dies. Widows and widowers may be eligible to receive monthly Social Security benefits on the record of a deceased worker as early as age 60 (or age 50 if disabled). In certain cases, we can pay benefits to a widow and widower at any age who is caring for a child under age 16. And did you know that Social Security provides an important source of financial support to some children? As a survivor of a deceased parent insured for Social Security benefits, a child can generally be paid until age 18 (or 19, if enrolled as a full-time high school student). We can also continue to pay benefits past age 18 or 19 if the child has a disability that began before they turn 22 years old. Under a special rule, benefits can also be paid even if the deceased has not worked and paid Social Security taxes for a long period of time. Generally, the younger you are when you die, the fewer credits you need for your survivors to be eligible for benefits. Another good source of information is our publication, How Social Security Can Help You When A Family Member Dies, available at www.socialsecurity.gov/survivors. If you think you’re eligible and want to apply for survivors benefits, you can file online easily. The online application process is straightforward and will give you a list of documents you’ll need to gather before you begin. Losing a loved one is never easy, but knowing Social Security can help the survivors left behind may bring some comfort during a difficult time. As we recall the sacrifices made on Patriot Day, let’s do our patriotic duty to brush up on what Social Security services are available for survivors by visiting www.socialsecurity.gov/survivors. This entry was posted in Survivors and tagged 9/11, 9/11 victims, Patriot day, September 11, Social Security benefits, social security survivor benefits, surviving families, Survivors, survivors benefits, Survivors Insurance by Jim Borland, Acting Deputy Commissioner for Communications. Bookmark the permalink. I was have benifits pending since 2009 last friday receive a letter need to file another appeal for judge hearing do they really go for that. But fact approve. Or just need to hire attorney and their cut. I was on intelligence coordination 911. Victim of economy when since the terrorist accomplish 911. I am full fleage veteren employer. im asking crying out loud do something i live in las vegas nevada *** – ** – **** my social security. As a senior, who has served this country in every area of endeavor l found myself, l believe it will a darn shame if dedicated citizens are deprived of their hard earned benefits, which they had labored arduously for. The country has to do its due diligence to retain its integrity. There is just no two way about it. Take your letter into your local SS office and have them explain it to you. Hi, Mannix. Unfortunately, but for your security, we do not have access to personal records in this venue. We encourage you to contact your local Social Security office or call our toll free number at 1-800-772-1213, Monday through Friday, between 7 a.m. and 7 p.m. for further assistance and a thorough explanation. Please support H.R.1205. If you are a spouse and victim of the Gov Pension Offset or the Windfall Elimination Provision (WEP) you probably will be denied a spousal survivors benefit. Spouses who worked as educators, law enforcement, or other health/safety professionals and made equal or more than your deceased spouse will probably be victims of GPO/WEP. Ladies, if you are victims of GPO/WEP you are being punished for your income equality. 81% of GPO/WEP victims are WOMEN! P.S. There are many exception/exemptions to the GPO/WEP but SSA will not inform you that you quality or provide preretirement determinations so you can plan your retirement. H.R. 1205 has to do with withdrawing from the United Nations and has nothing to do with WEP. SS does not hide any exceptions to the current law and Congress is not and never will look into this matter again after it being the law for decades. Your post is so much BS. I stand corrected. H.R. 1205 in the current Congress does deal with the elimination of the WEP and GPO for payments effective with December 2017. I am amazed that there are so many co-sponsors. I apologize to cstamey and since I’m subject to the offsets, naturally I support repeal to any degree. We are now waiting for a report from the GAO as the the impact passage would have on the budget. Regarding GPO/WEP exception/exemptions, it is up to the GPO/WEP victim to research and argue they qualify. SSA will not advocate on your behalf if you qualify for a GPO/WEP exception/exemption. If you are a victim of the GPO/WEP research if you qualify for an exception/exemption and appeal your denial. Also, as I mentioned, SSA will not provide you with a preretirement determination so you can plan for your retirement. AKA: thank you for the apology, but I would rather you not respond to my blogs. how about if you’ve been divorced for 20 yrs but were married for 10. I don’t know if my ex is alive or not. I had no children with him so how would I find out about that? would social security get in touch with me? No, you need to get in touch with Social Security. It is not your duty, patriotic or otherwise, to become informed about SS. However, knowledge is a good thing to have. Is is the duty of the employees at Social Security to give you all of your options when you file or inquire. The decision is yours. I must add that the SS employees do a great job in servicing the public. Remember they have to cut through all the misconceptions the folks have because of the fake news, fraudsters and charlatans who want you to sign up for an investment seminar only to find out what is freely provided by the SS Administration. Thank you for your question William. Your wife could be eligible for reduced widow’s benefits as early as age 60 (age 50 if disabled). For more information, please go to our Survivors Planner page and read our publication: How Social Security Can Help – When A Family Member Dies. Unfortunately, and because of security reasons we do not have access to personal records in this blog. One of our representatives should be able to assist you. Please call our toll free number at 1-800-772-1213 for assistance. Representatives are available Monday through Friday, between 7 a.m. and 7 p.m. Generally, you will have a shorter wait time if you call later during the day or later in the week. Thanks. Unfortunately, but for security reasons, we do not have access to personal records in this blog. Please continue working with your local office. You can request to speak with the manager to see how we can help to expedite resolution of your situation. If you are unable to visit the local office, you can call our toll free number at 1-800-772-1213, representatives are available Monday through Friday, between 7 a.m. and 7 p.m. Generally, you will have a shorter wait time if you call later during the day. Thanks. I’m 60 yrs old female married for 20 yrs and collecting disability and got divorce years ago and never remarried. My ex-husband his fully retired 10 yrs ago and still alive, am I entiled to have spousal benifits because I have disability even I’m not 62-65 yrs old. A widow can collect spousal benefits when the turn 60 and healthy, why the divorcy disable person don’t have the same benefits as a widow or widower. Hi Janet. Unfortunately, and because of security reasons we do not have access to personal records in this blog and cannot assist you at this time. One of our representatives should be able to provide you with status of your claim. Please call our toll free number at 1-800-772-1213 for assistance. Representatives are available Monday through Friday, between 7 a.m. and 7 p.m. Generally, you will have a shorter wait time if you call later during the day or later in the week. Thanks! If the child turn 18 but is enrolled in college do they still get their benefits for a decease parents. Hi Donna. Thanks for your question. At one time, Social Security did pay benefits to college students, but the law changed in 1981. Today, if a child is receiving benefits based on a parent’s Social Security earnings record, we pay these benefits to students who are taking courses at grade 12 or below. However, if a child is still a full-time student at a secondary (or elementary) school at age 18, their benefits will continue until the child graduates or until two months after the child turns age 19, whichever is first. See Benefits for Children for more information. I called to report my husband Dale John Wing’s death on 8/13/2018, and to apply for his benefits which are greater than mine. They gave me a phone appointment on the 21st of August at 10:00-11:00 am, I had to cancel because of a funeral at that time. They said I would have to wait now till Oct. 2nd, 2018. Now I get a call saying the appointment is back at the 21st. Could you please e amil me which date is right? Judith A. wing our SS numbers are Dale *** – ** – *** Judith’s is *** – ** – ***. Would like to have this cleared up as soon as possible. We apologize for any confusion, Judith. We do not have access to personal information, therefore, we do not do direct messaging in this venue. Please call our toll free number at 1-800-772-1213 for assistance. Representatives are available Monday through Friday, between 7 a.m. and 7 p.m.
Generally, you will have a shorter wait time if you call later during the day or later in the week. Just a reminder – . Please be cautious about posting personal information on social media channels. Thanks! I receive benefits from my husband that passed away in 2005. I am 63 and my questions is how much am I allowed to earn if I get a part time job to help pay my livig expenses without losig my benefits?Im having a hard time paying my health insurance (also, when can you start getting medicare/medicaid)? Thank you contacting us, Sandy. Yes, there are limits on how much survivors may earn while they receive benefits. For complete information on how work and wages can affect your benefits, visit our “Getting Benefits While Working” web page. Medicare is our country’s health insurance program for people age 65 or older. Individuals already receiving benefits -prior to age 65-, will be automatically enrolled in Medicare Part A & B.
Medicaid is a joint federal and state program that helps with medical costs for some people with limited income and resources. You can get information about services in your area from your state or local social services office. I get survivors support, I’m 62 yrs old and have a paying job since my benefits isn’t enough to cover my bills, what is my earned income limits for each month/year? Hello Sheila, if you are the widow or widower of a person who worked long enough under Social Security, you can receive reduced survivors benefits as early as age 60 (age 50 if disabled). For those already receiving retirement benefits, you can only apply for benefits as a widow or widower if the retirement benefit you receive is less than the benefits you would receive as a survivor. To see if you qualify for a higher benefit amount, or to make an appointment with your local Social Security office, call our toll free number at 1-800-772-1213. Representatives are available Monday through Friday, between 7 a.m. and 7 p.m. Thanks! I’m affected by GPO. Every year I received a form to fill out stating my current monthly income which increases a little every year. Then my monthly SS check would be adjusted. This year I received no form so I sent it on my own. Finally received info from SS in Aug, Sept and Nov. saying I was overpaid in 2017 and haven’t adjusted my SS in 2018. Why does it take so long. Feel I should hire someone to help me get this straightened out. Thank you for contacting us, Joan. Unfortunately, and because of security reasons, we do not have access to personal records in this blog and cannot assist you. We understand your frustration and apologize for the delays; however, it is important that you continue working with your local office. The places you have for people to click on just give me the runaround! I need to get in touch with SSI asap because my Widow’s benefits did not go into my checking account!